Officially the only beach on the Isle of Portland, Church Ope Cove! 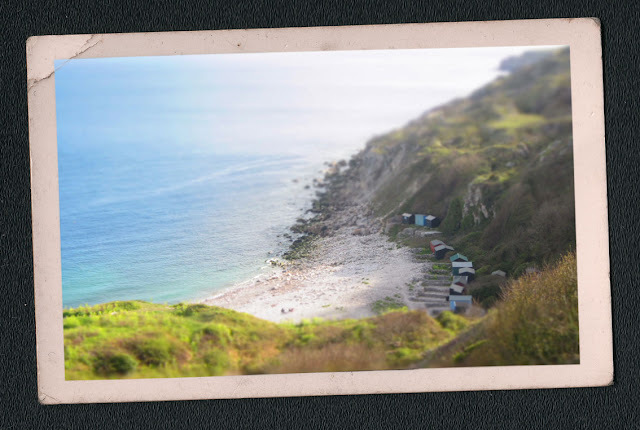 And what an amazing spot it is, with the beach huts that have their own walled gardens, to the incredibly calm and blue sea lapping at the white Portland stone beach. But as with everywhere on this island, there is always something unusual lurking. The cove is overlooked by the mysterious Norman remains of Rufus Castle, casting a sinister shadow!